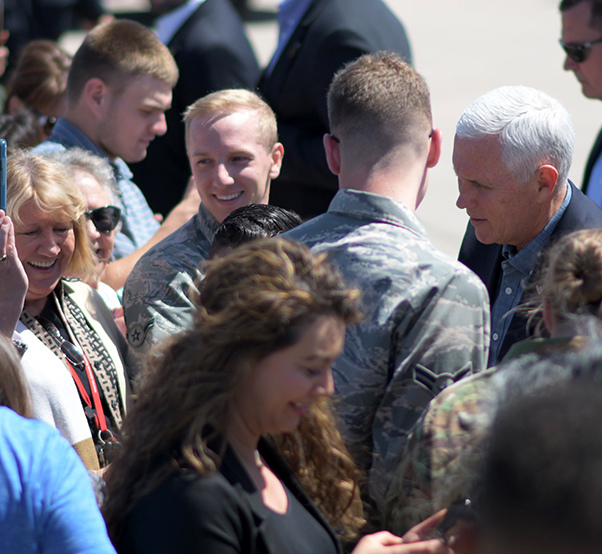 U.S. Vice President Mike Pence greets the Desert Lightning Team during a quick visit with the DLT prior to his immersion with Customs and Border Protection at Davis-Monthan Air Force Base, Ariz., April 11, 2019. 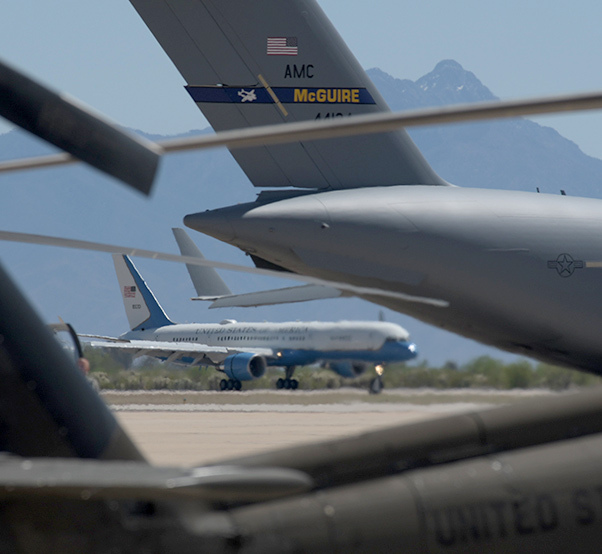 This dynamic, cross-functional relationship with Customs and Border Protection broadens Davis-Monthan Air Force Base’s ability to support national security. 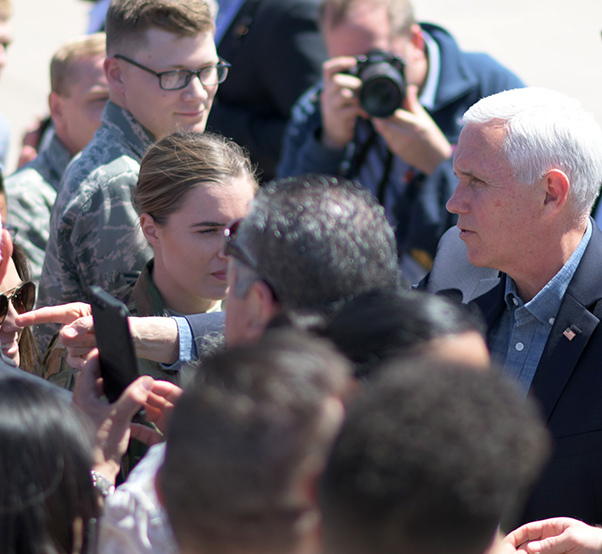 U.S. Vice President Mike Pence waves to a crowd during a visit prior to his immersion with Customs and Border Protection at to Davis-Monthan Air Force Base, Ariz., April 11, 2019. 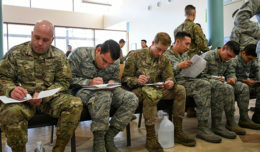 Davis-Monthan is an operational, warfighting base with 11,000 Airmen that directly support four combatant commanders around the globe every day. 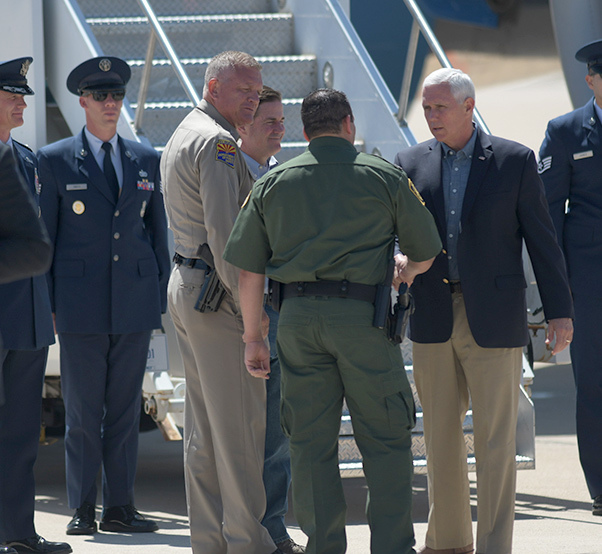 U.S. Vice President Mike Pence greets Tucson Sector Chief Patrol Agent Roy Villareal, a visit prior to his immersion with Customs and Border Protection at to Davis-Monthan Air Force Base, Ariz., April 11, 2019. This dynamic, cross-functional relationship with Customs and Border Protection broadens Davis-Monthan Air Force Base’s ability to support national security. 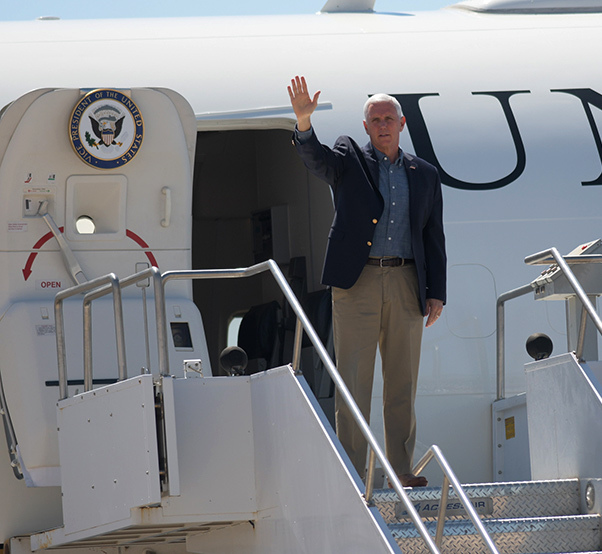 Air Force Two lands at Davis-Monthan Air Force Base, Ariz., April 11, 2019. 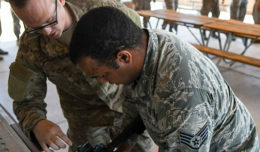 Davis-Monthan is an operational, warfighting base with 11,000 Airmen that directly support four combatant commanders around the globe every day.